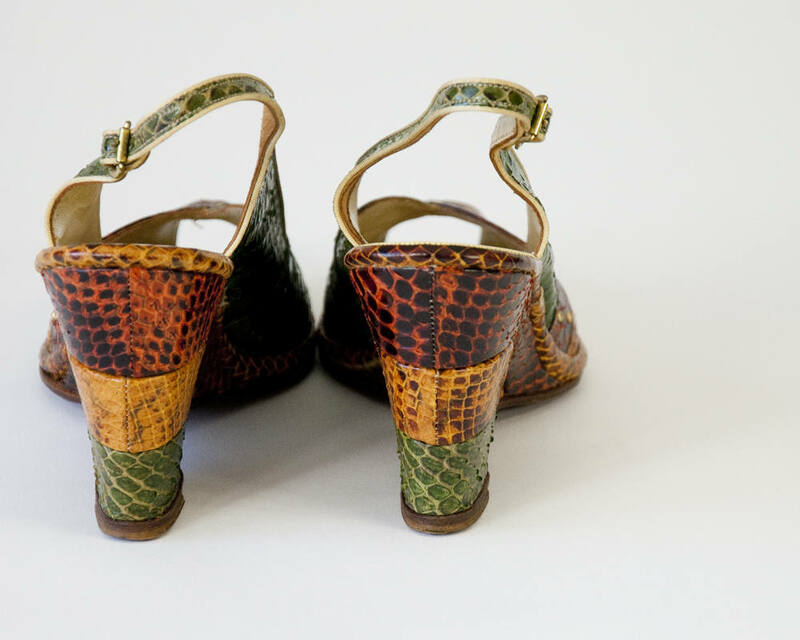 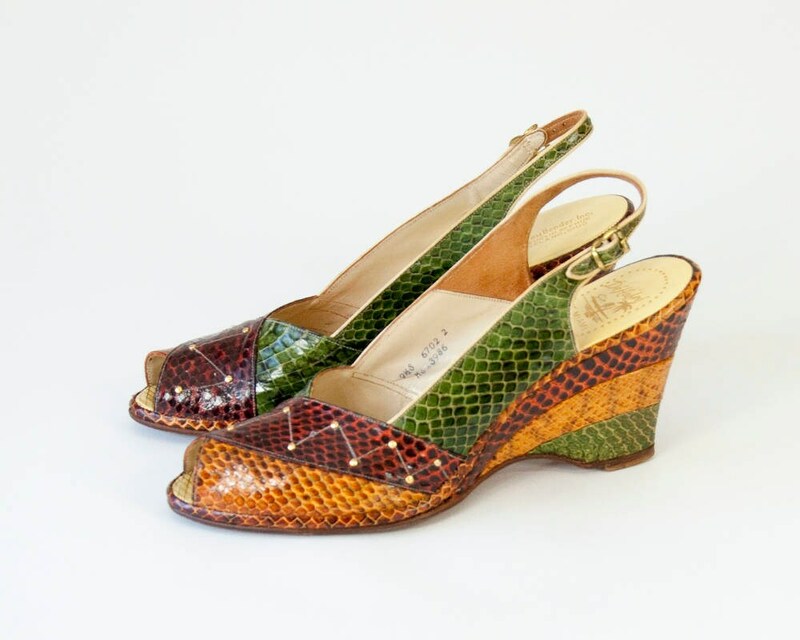 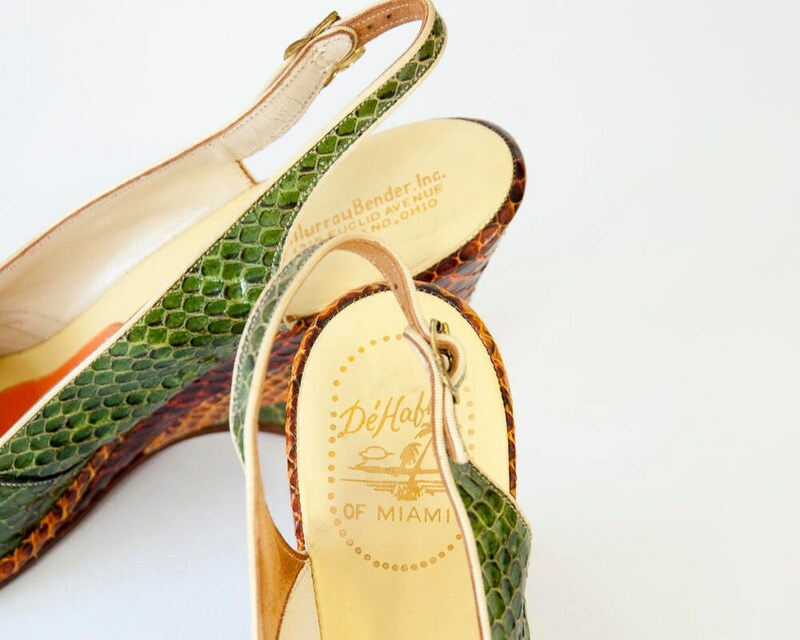 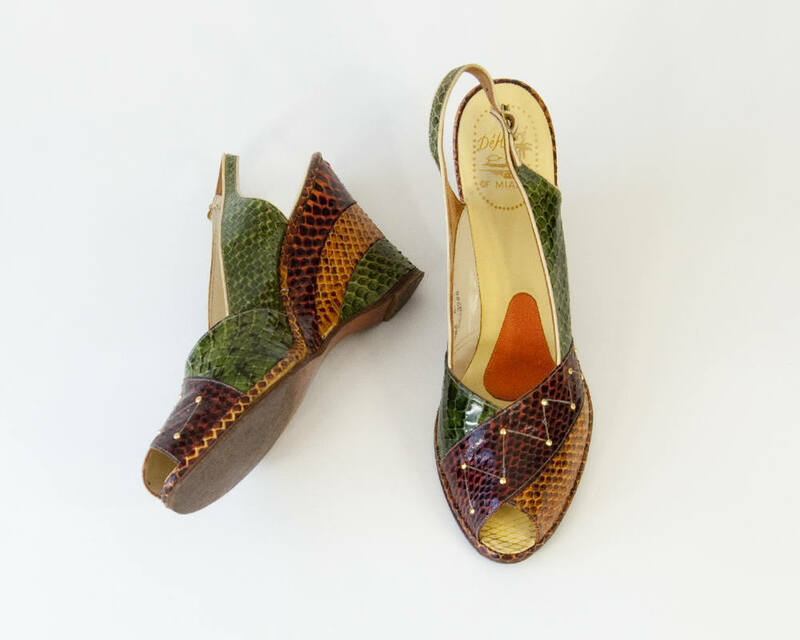 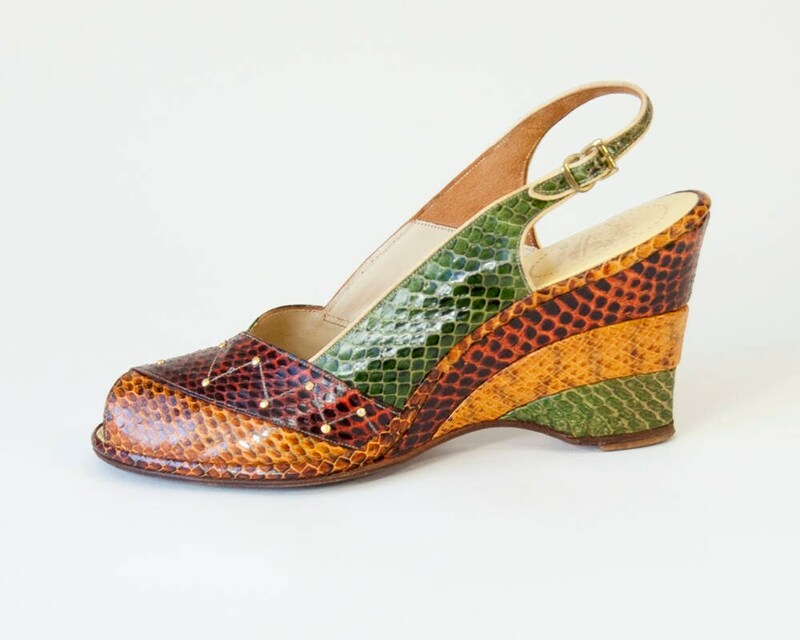 Amazing vintage snake skin wedge shoes. 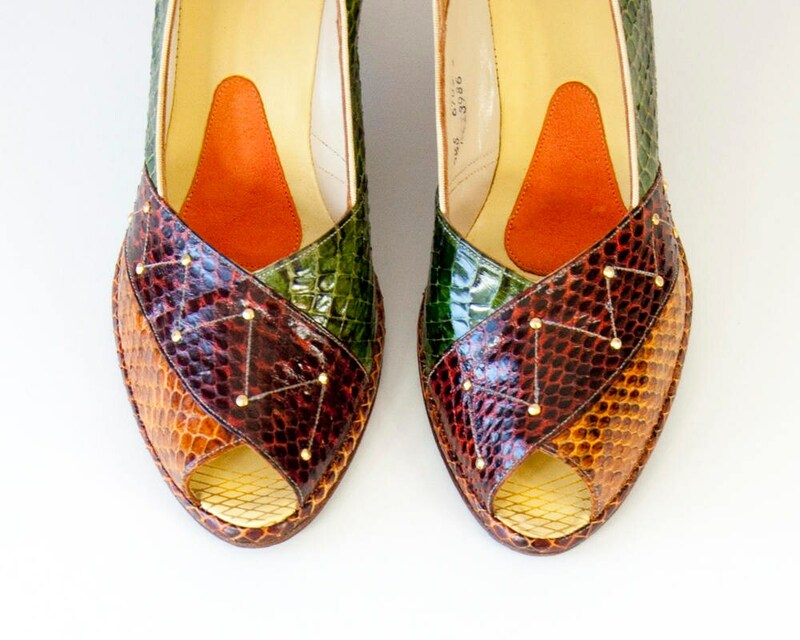 Peep toes with decorative brass studs. 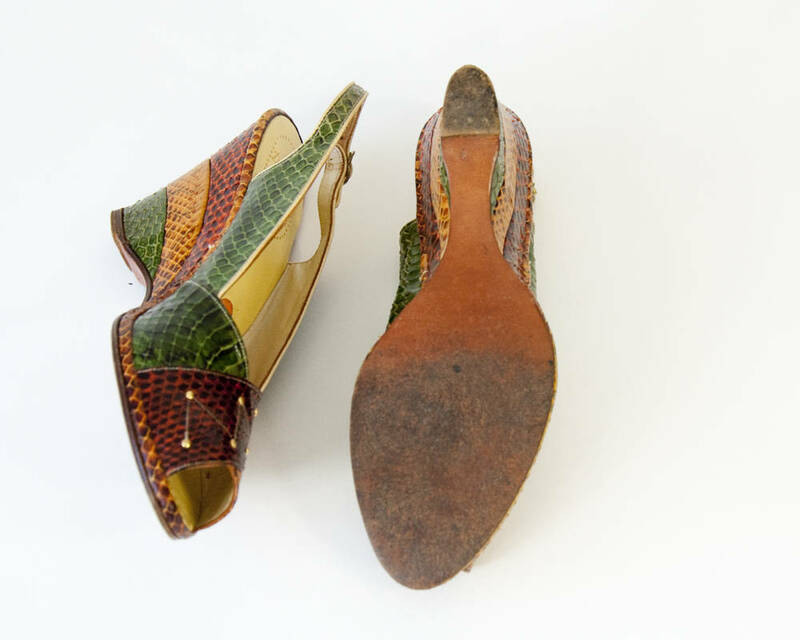 Adjustable sling backs. 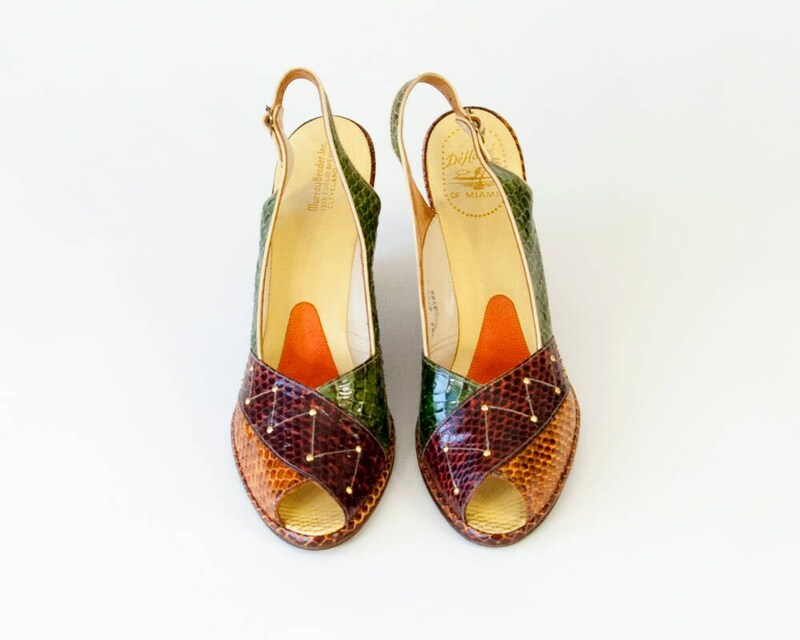 Excellent condition - minimal wear and signs of age.